South Devon’s history combined with its natural beauty has made it a popular holiday destination in the UK. Our hotel in Dawlish is perfectly located for exploring much of the area in South Devon, including several of the area’s picturesque and characterful towns and villages. Read on to see our top places for sampling the quintessential British rural life. The historic market town of Totnes is in an Area of Outstanding Natural Beauty, surrounded by woodlands and rivers. The town dates back to 907 and has been a market town since the 12th century. It is said to have more listed buildings per head than any other UK town! Must see attractions in the town include Totnes Castle, the steam railway and the Brutus Stone. In recent years, Totnes has become a draw due to its focus on organic food, restaurants, cafés and pubs offering international cuisines and the market. There is also a range of small, independent shops and a great art and music scene, giving the town a bohemian vibe. 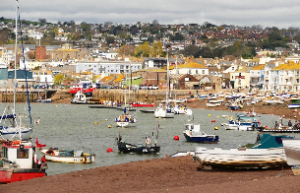 The stunning coastal town of Teignmouth sits on the edge of the South Devon coast at the mouth of the River Teign. With the Victorian pier, play park, crazy golf and golden, sandy beaches, it is the perfect family destination and a beautiful setting for a UK holiday. There are loads of fun activities to do in and around the town, from kayaking and paddle boarding in the sea, walks on the South West Coast Path, to shopping along the promenade or on the lovely high street. The town has many stunning Georgian buildings, and from the 1800s it has remained a popular tourist spot due to its great summer weather and fishing harbour. Across the river from Teignmouth is the village of Shaldon, unspoiled by modern and commercial tourism, and retaining much of its charm. 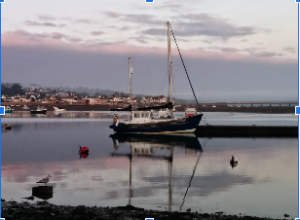 Though originally a farming village, due to the fertile lands further inland, Shaldon turned to fishing, which is still an important industry for the town today, and the harbour is dotted with colourful fishing boats. Local attractions in the village include the Shaldon Wildlife Trust Zoo, Pitch and Putt and the pebbled beach for an array of water sports. Shaldon is also famous for the Water Carnival held in August, followed by the Shaldon Regatta, both of which have hundreds of events and activities for the whole family. 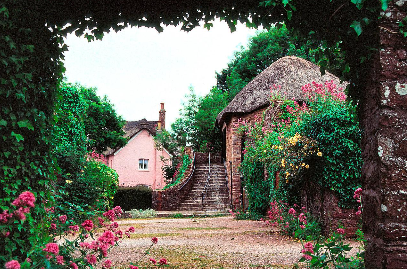 The village of Dittisham is considered to be one of the most attractive in Devon. Located on the banks of the River Dart upstream from Dartmouth, it is known locally as ‘Ditsum’, and the surrounding countryside has made it a charming and atmospheric place to visit on a trip to South Devon. One of the most popular activities to do in Dittisham is crabbing – packing a bucket and crabbing line with some bacon and have a couple of hours seeing how many you can catch is something the whole family can enjoy! Be sure to return the creatures to the water at the end of the day. South Devon is home to the ‘English Riviera’, and one of the highlights is the village of Cockington. Walking along its narrow lanes lined with thatched roof houses, stone and cobb walls, you experience an aesthetic found only in Britain. The cream teas, cricket ground and friendly locals further add to its appeal. The historic town has many of its cottages dating to the 16th century, some even mentioned in the Doomsday Book. Outside the village, there are trails and walks where you can enjoy the gorgeous vistas depicting rural life, and in the village, you can stop at the local shops selling mementoes for your visit. Don’t miss seeing the water mill, almshouses, old stocks and gamekeepers cottage. Located on the south of Dartmoor, just over half an hour’s drive from Dawlish is the town of Ashburton. The historic town is home to art galleries, antique shops and unique gift shops. There are lots of local, independent eateries too, where you can pick up a tasty cake or pastry as an afternoon snack. Ashburton was an important town for the tin trade in the middle ages, being named one of four stannary towns in 1305. The town was a thriving hub for tin, iron and wool trades until their decline in the 17th century, after which Ashburton relied on passing trade between Exeter and Plymouth. In the 1950s, the picturesque town began to thrive from tourists visiting Dart Valley to escape the urban life. When looking for hotels near Dawlish that provide a great base for exploring the area, including the picturesque towns, Langstone Cliff is the ideal choice, as we accept large parties, families and have fantastic accommodation offers throughout the year. Book now and experience everything beautiful South Devon has to offer!